Buying a house is probably the biggest and most long term financial commitment that many people get into. Everybody wants the security of owning a house and would go to great lengths to acquire one. Buying a house is an expensive venture that very few people will be able to pay for without the help of a home loan. Home loans are very important in that they help us acquire homes but if not managed properly, home loans can come back to bite us. An important thing to do once one starts servicing a loan is to make sure that they can finish off paying for the loan as fast as possible. There are several strategies that one can use to reduce their home loan faster and some are discussed below. 1. First one should do all that is possible to pay as big a deposit as possible. A deposit is an amount one pays when they agree to purchase a home. This is usually a percentage of the total value of the house. It is a sign from the buyer that they are dedicated to purchasing the asset. The amount of the deposit paid will be offset against the purchase price of the asset and the rest is paid from the mortgage. A bigger deposit will make a financier more willing to give you a loan. When one pays a bigger deposit, the creditor will also in most cases then offer better interest rates. This is because if by some chance you are unable to pay for the mortgage, then the creditor has some money to fall back to. A bigger deposit will also protect the buyer from ending up with negative equity. This is a situation where; due to one reason or other, the value of the asset falls to below what you borrowed. In such a situation when you sell the house it will not give you your money back. If you have a deposit however, this can make up for the deficit. 2. When servicing your home loan, apart from the agreed upon installments, it is wise to pay extra money each month. This will enable you to finish off your loan faster and let you have the peace of mind of owning your roof. Another important reason is that paying a little extra will reduce the interest that you will have to pay. To take advantage of the compound interest over time; extra payments should preferably be made earlier. Extra payments will reduce the interest from the time when the payment was made onwards. Depending on the bank you are using and the terms applicable, one should however be careful that you do not incur additional fees from the extra payments that may be counterproductive especially if one has a fixed rate loan. 3. One should also consider the way they make the payments. For example one should take advantage of the opportunity of making frequent payments. This is especially when a bank gives you the liberty of paying as often as you want and allows bigger payments without any additional costs being charged. When one makes frequent payments e.g. making a payment every week or every fortnight, one will be able to continually reduce the interest rates while they also reduce on the principal. Whenever you get some unexpected extra money, one can pay for the mortgage. Some unexpected sources of extra cash include; tax refunds, some big commission from a sale, or an annual bonus from the office. 4. When negotiating for your home loan, try to get the lowest possible interest rates. To achieve this, one might need the assistance of an expert mortgage originator who will advise you and even negotiate on your behalf to get the lowest possible interest rates. Interest rates hugely affect the total amount one will pay for in their home loan. 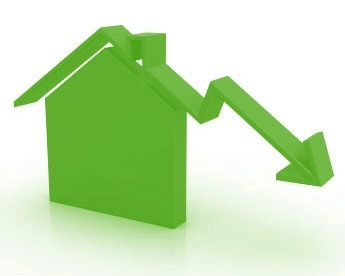 A very small reduction in your interest rate will make a very big difference. 5. Debt consolidating. During the period of financing your mortgage, the interest rates may rise. If this happens, other areas such as your vehicle finance, credit card accounts, and your personal loan rates will also rise. Usually the interest rates on the credit cards will cost you more than the mortgage interest rates. Several banks will allow you to consolidate all your debts together to help ease the higher expenses. At times the interest rates will drop and the monthly installments will also drop. Since you were already paying the higher installments, it is advisable to continue thus so as to pay off your mortgage faster.